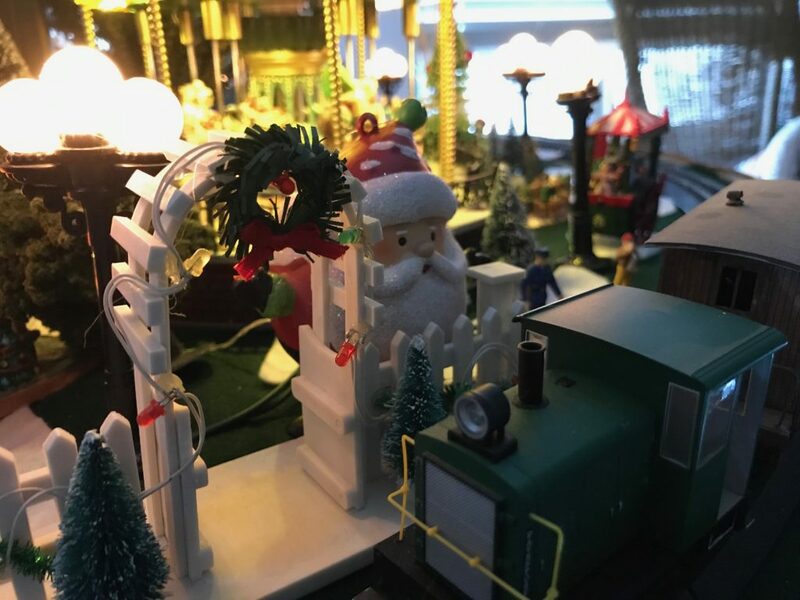 Each Holiday Season I like to look for a Christmas Layout to feature on Small Model Railroads. 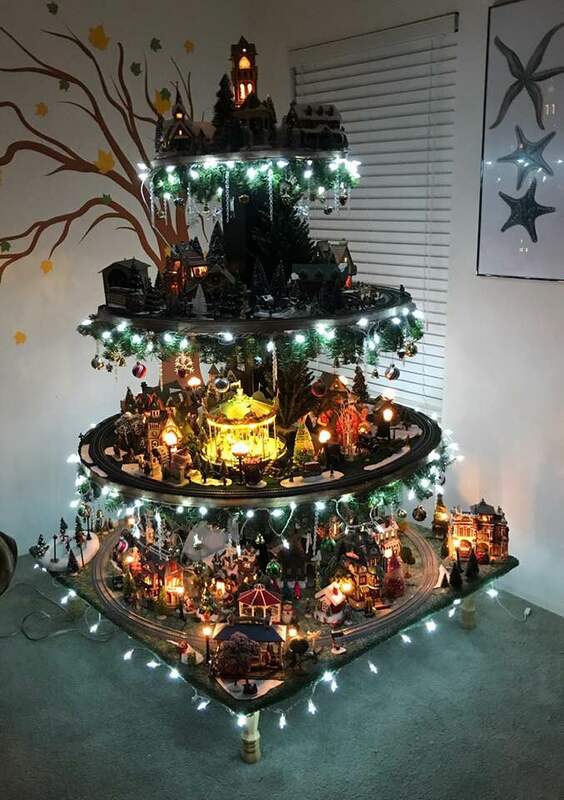 This year we are going to take a look at Wayde Gutman’s unique Christmas Tree Layout. All images/videos in this article were taken by Wayde Gutman. Wayde’s layout is unique because his layout is not just under the tree or part of the tree, it IS the tree. The layout is four tiers high with the lower three tiers each containing a loop of track. Each of the lower tiers has its own On30 train with the top one being a trolley. Each train is decorated with festive holiday cheer. 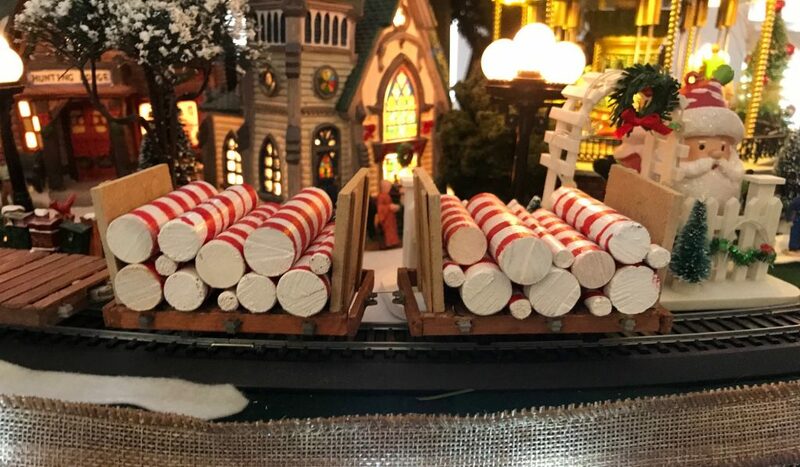 The middle tier has a small candy cane logging train while the lowest level features a train loaded with gifts. Most of the buildings on the layout are LEMAX with some O Gauge structures here and there. The bottom tier was Wayde’s 2017 Christmas layout. For 2018 he added the upper layouts to create the full tree layout. Wayde started the 2018 layout in September to give enough time to finish for Holiday Season. The core of the tree is created by 1x4s arranged in a C arrangement. This creates a channel for the wiring to each level. Each tier is held in place by angle brackets. 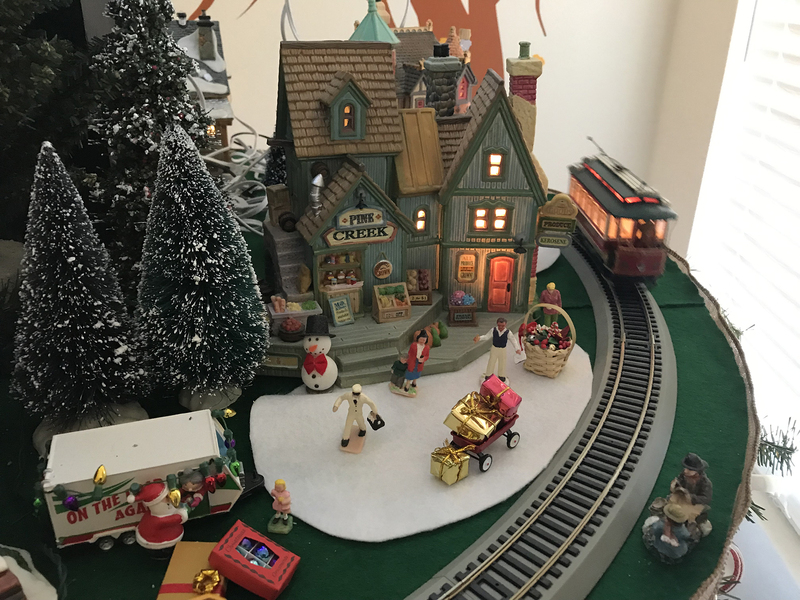 There is nothing like a train and village around the tree to set a holiday mood and Wayde has exceeded all expectation with this layout.